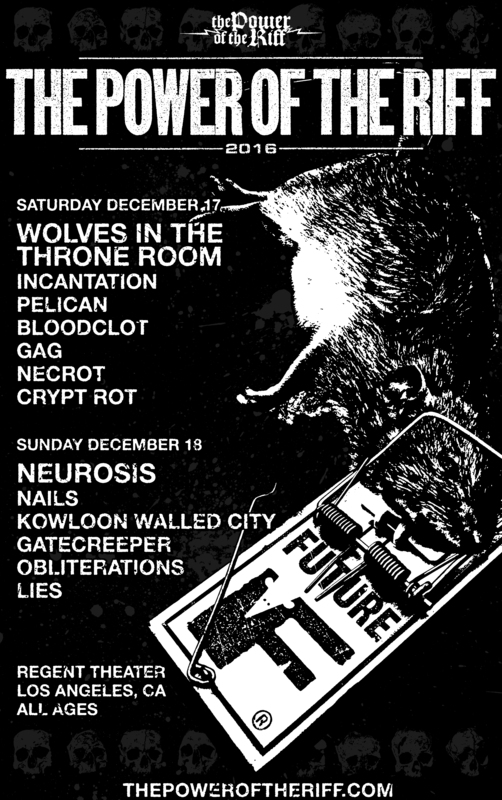 This week, Los Angeles hosts the mighty THE POWER OF THE RIFF festival event, with a pre-party event kicking things off TONIGHT, Friday, December 16th, and two evenings of main events taking place Saturday the 17th and Sunday the 18th. A Spotify playlist for THE POWER OF THE RIFF is now posted RIGHT HERE and a two-part audio interview with Greg Anderson is now playing; Part 1 RIGHT HERE and Part 2 HERE. A trailer for fest is playing HERE. The final remaining tickets are available HERE. THE POWER OF THE RIFF begins with a now sold-out pre-party tonight, Friday, December 16th, with Venice crossover icons EXCEL headlining the show in support of the recent reissue of their second album, The Joke’s On You. Also added to the party are Inglewood powerviolence squad DESPISE YOU as well as local Los Angeles death-punk sect DETH CRUX.